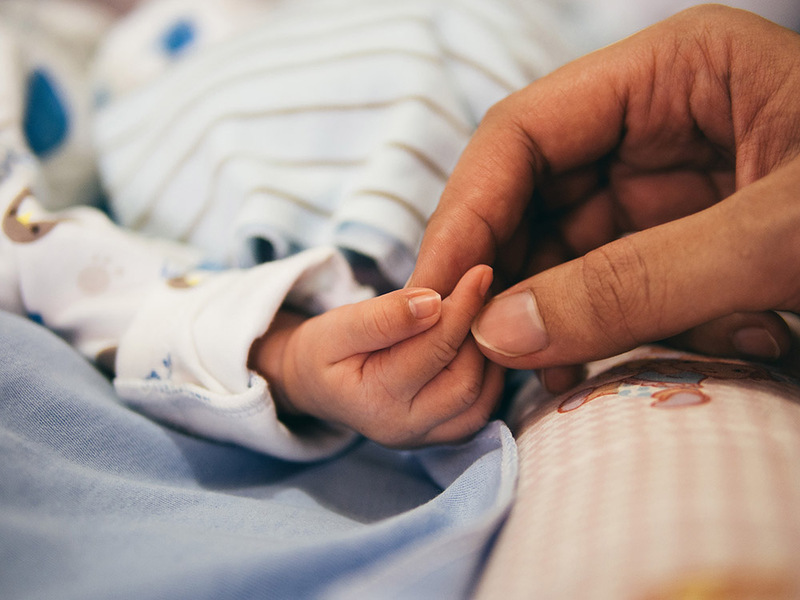 The CDN recently published a paper that assessed whether the discretion afforded to clinicians results in racial/ethnic disparities in reporting substance-exposed infants to child protective services (CPS). Published in Pediatrics, the article, Prenatal Substance Exposure and Reporting of Child Maltreatment by Race and Ethnicity, documented that infants with medically diagnosed substance exposure were significantly more likely to be reported to CPS than infants not exposed, and that the likelihood of reporting did not vary by race/ethnicity after adjusting for other risk factors. Also notable was that nearly half of all substance exposed infants were not reported to CPS. These policy-relevant findings were also highlighted in insights XIII A Matter of Substance: Challenges and Responses to Parental Substance Use in Child Welfare, a publication of the California Child Welfare Co-Investment Partnership that examines the links between data, policy, and outcomes for the state’s most vulnerable children and families. Drawing on data from birth records to examine regional differences within L.A. County, this snapshot provides an overview of trends in term and birthweight as an indicator of healthy birth outcomes. Good news: The percentage of infants born full-term and at a normal weight improved from 2007 to 2012 (latest birth record data available), countywide and in all regions of the county. In 2012, just over half – 53.6% – of L.A. County births were full-term and normal weight, up from 47.7% in 2007. These improvements affected all demographic subgroups, with figures increasing for all racial/ethnic groups, countywide. At the local level, increases were seen for most groups in most regions. While full-term, normal-weight births were less common among mothers age 40+ compared to younger moms, women over 40 experienced the largest gains in full-term, normal-weight births of any demographic group in L.A. County during this period, from 39.9% to 48.8%. 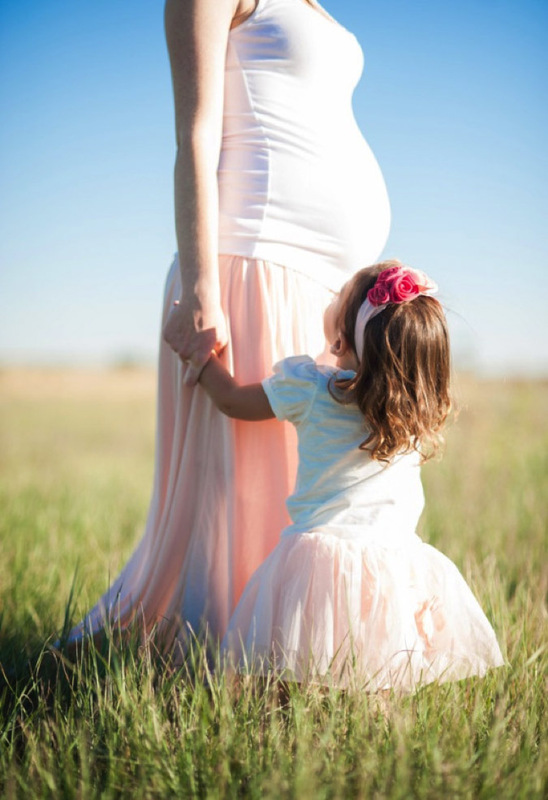 Improvements also were seen for births to teen mothers, from 51.3% to 56.6%. Public health efforts to decrease preterm births and improve birth weights appear to be working. As new birth record data become available, they likely will show continued progress given that many new programs and policies have been implemented since 2012. It is critical to maintain these gains and continue prioritizing efforts to promote healthy births in L.A. County, especially now, at a time of change and uncertainty for the nation’s health care system and safety net programs. Why is it important for infants to be born “full-term” (delivered in the 39th or 40th week) and at a “normal weight” (about 5.5-8.8 pounds)? When babies reach full-term, their bodies have a chance to fully develop, including their respiratory, brain, and liver functioning. Preterm birth and low birthweight are leading causes of infant death in the U.S. In addition, infants born too early or too small are at increased risk of serious long-term health problems that can be very challenging for children and families and for society-at-large, resulting in billions of dollars spent each year on health care, special education, and other services. This snapshot is part of the ongoing “Connecting the Dots” series by the Children’s Data Network at the USC Suzanne Dworak-Peck School of Social Work. Connecting the Dots snapshots bring together data and stories to provide new insights about the health and well-being of children and families in L.A. County. The series also highlights the great work happening throughout the county. This is the fourth and final snapshot in the 2017 series, drawing on data from birth records to examine regional differences in births and healthy birth indicators across L.A. County. The four snapshots covered Birth Trends, Timely Prenatal Care, Perinatal Smoking, and Full-Term & Normal-Weight Births. To What Degree Do the Criminal Justice and Child Welfare Populations in California Overlap? Written on June 6, 2017 . After much investigation, however, we have failed to find its source. And without a source and associated methodology upon which to judge its veracity, we can only conclude that it is unfounded. Long story short: There is no evidence to support this claim. Not surprisingly, there is data documenting an overlap of criminal justice and child welfare populations in California. Although the degree of that cross-system overlap varies based on the population of individuals studied and the definition of child welfare “involvement” used, none approaches 70%. Statistics are important. They can spur policy change, inform the design of programs and delivery of services, and facilitate collaboration to everyone’s benefit. But if numbers are wrong or pulled out of thin air, they have the potential to obfuscate the best solutions, negate impact, and stymie improvement to the detriment of all. Stray statistics have the potential to do more harm than good. And they will persist until soundly refuted by better data, elegant research design, and lots of hard work. 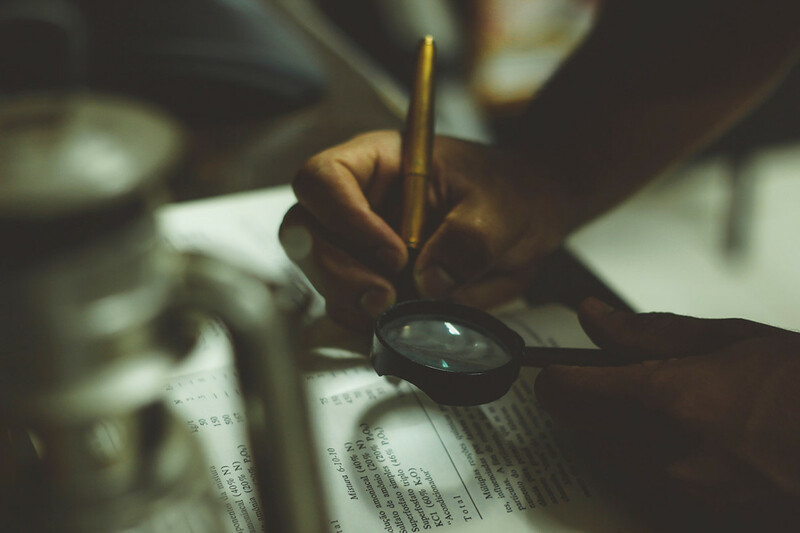 Here at the CDN, we will continue questioning and replicating to replace stray statistics with valid research findings that will inform, invigorate, and improve policies for all. We are data Darwinists. We believe in survival of the fittest … data. Our latest examination of L.A. County birth records highlights good news: The vast majority of women in L.A. County reported not smoking during pregnancy or in the three months before conception from 2007-2012. 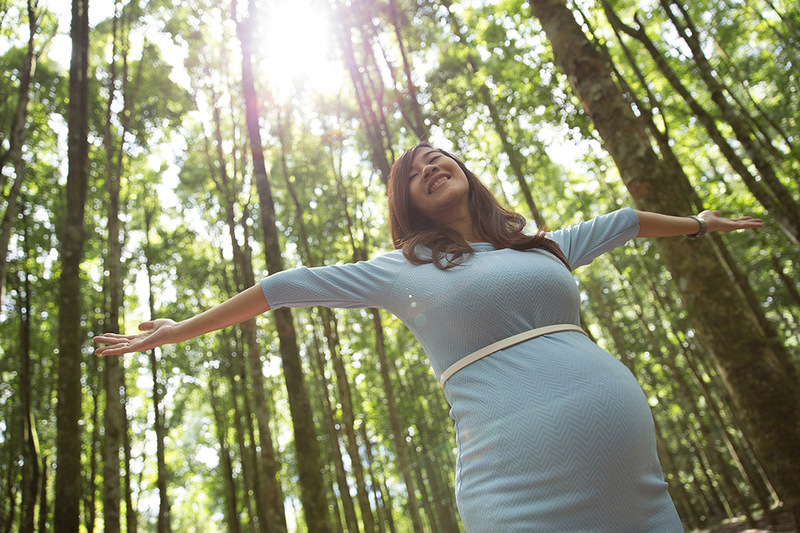 And perinatal non-smoking rates improved slightly during this period. Full results, plus interactive maps, can be found here. All areas of the county saw improvements in perinatal non-smoking, though rates differed by region. While the Antelope Valley had the lowest percentage of births without perinatal smoking during 2007-2012, that region also experienced the greatest gains, e.g., figures in Service Planning Area (SPA) 1 rose from 95.5% to 96.5%. Among racial/ethnic groups countywide, perinatal non-smoking levels were lowest for Japanese, African American, and white mothers, though these three groups showed the largest improvements as well. Only one demographic group had greater gains during this period—those without fathers established on birth records. Specifically, perinatal non-smoking levels for births without paternity established increased from 95.1% to 97.2%. Improvement in perinatal non-smoking rates suggest that public health efforts to reduce smoking among expectant mothers—where smoking could have two-generation consequences—seem to be working. Perinatal smoking not only harms the mother’s health but also increases the risk of infant death, premature birth, low birthweight, and birth defects, among other complications. Though these increases – in percentage terms – are relatively small, they represent thousands of infants and significant progress for maternal and child health in L.A. County. The Rose Hills Foundation, which supports non-profit organizations that serve the citizens of Southern California, generously provides funding for select students pursuing full-time research in science or engineering. 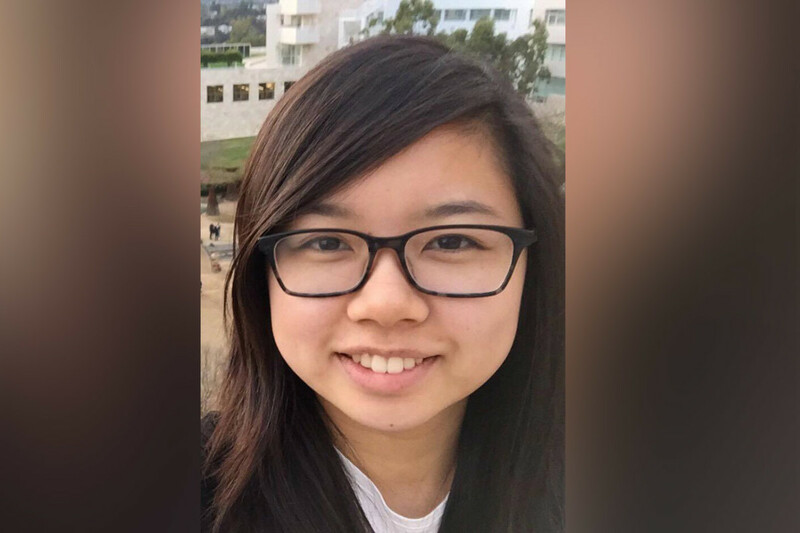 Chelsea Lee, one of our talented undergraduate research assistants, was awarded a Rose Hills Fellowship that will support her full-time position with the CDN this summer. Congratulations, Chelsea! We’re excited to have you as part of our team, and thankful to the Rose Hills Foundation for their philanthropy. The Children’s Data Network (CDN) at USC’s Suzanne Dworak-Peck School of Social Work was excited to co-host an international administrative data conference at Stanford University on May 1st and 2nd, 2017 with the Australian Research Council Centre of Excellence for Children and Families over the Life Course, the Program for Administrative Data at Stanford, and the Stanford Center for Poverty and Inequality. Identify strategies concerning communication and partnerships with government agencies, and sharing experience on how to address them. 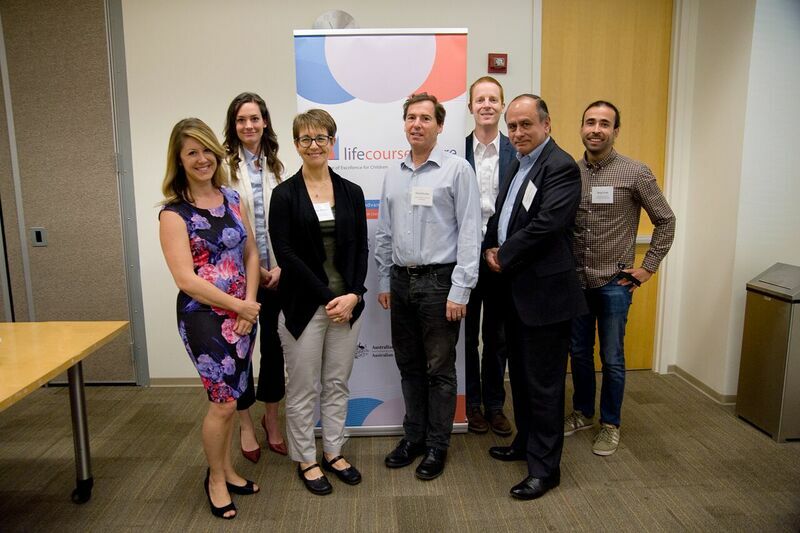 Thanks to the support from USC’s Research Council, the entire CDN team was able to attend this convening. Not only did it facilitate team-bonding, it also allowed fostered connections with other researchers similarly engaged in analyses based on linked records, and provided a forum to discuss personal experiences with administrative data, brainstorm around challenges, and cement new interinstitutional relationships. How is receipt of timely prenatal care changing across Los Angeles County, and why does it matter? Written on April 28, 2017 . A new examination of L.A. County birth records highlights declines in receipt of timely prenatal care, but trends vary in different parts of the county. Full results, plus interactive maps, can be found here. The percentage of births to women receiving prenatal care in their first trimester declined between 2002 and 2012 (most recent decade of birth records available), countywide and in all regions except the San Fernando Valley. 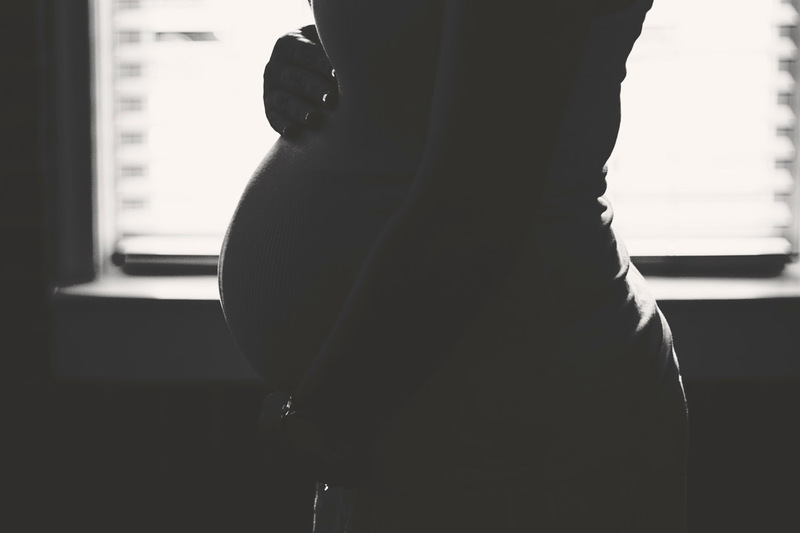 Receipt of timely prenatal care declined for nearly every demographic group in nearly every region of L.A. County during this decade—and inequities persisted, with receipt remaining less common among births to teens, women of color (particularly African Americans), mothers with lower education levels, and mothers with public insurance, as well as births where paternity was not established. 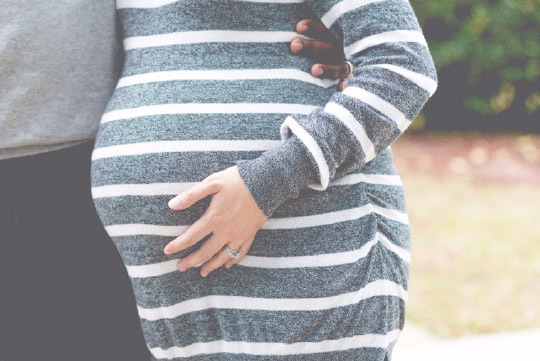 Quality health care in the first trimester of pregnancy lowers the risk of complications including low birth weight and premature birth, a leading cause of infant death. Research shows that a healthy birth—followed by safe, nurturing relationships and environments—sets children on a path toward good health into adulthood. The policy and program landscape has changed dramatically since 2012, with a new federal health care system and many promising community programs launched or expanded in the last five years. As subsequent years of data become available, the impact of these changes may be reflected in the data, revealing improvements in access to prenatal care. Given the uncertain future of health care programs at the federal level, it is important to ensure that recent improvements are maintained and that services to support healthy births continue to be a priority. This is the second of four snapshots to be released in 2017, drawing on data from birth records to examine trends and regional differences within L.A. County. The first snapshot provided an overview of birth trends and family demographics as a foundation for the next three snapshots, which will explore specific indicators of healthy birth outcomes. This snapshot focuses on access to early prenatal care, and the next one will address perinatal smoking. How are birth trends and family demographics changing across Los Angeles County, and why does it matter? Written on March 27, 2017 . The fertility rate—births per 1,000 women ages 15-49—declined significantly in all areas of the county from 2002 to 2012, the most recent decade of data available from birth records. The number of births dropped in all regions of the county, too, except in Antelope Valley which had a small increase (6%). The majority of births occurred in the San Gabriel and San Fernando Valleys, and the South L.A. region, during this decade. Births to teens dropped countywide, as well, with the greatest reductions in the San Fernando Valley, West L.A. areas, and South Bay. During 2002-2012, all areas of the county also saw declines in births to women who had not completed high school. Trends varied, though, for infants whose mothers had college degrees, with decreases in the Metro, South, and East L.A. areas, and in Antelope Valley, but substantial increases in the West L.A. areas. The number of births to white and Latina mothers dropped countywide by 33% and 19%, respectively, during this decade, whereas births to Chinese mothers rose 146%—this increase was most dramatic in the San Gabriel Valley. The report also includes 2006-2016 data on the 400,000+ low-income women and young children served by the Special Supplemental Nutrition Program for Women, Infants, and Children (WIC) in L.A. County. These data reveal decreasing percentages of participants with Spanish as their preferred language, and rising percentages who prefer English, in every region of the county. Why does it matter? L.A. County’s shrinking child population, retiring baby boom generation, and projected workforce shortages indicate that children are an increasingly vital resource for the county’s future prosperity. Supporting families with young children, in particular, is essential for a thriving future population, as the building blocks for lifelong health and wellness are set in the earliest years of childhood. 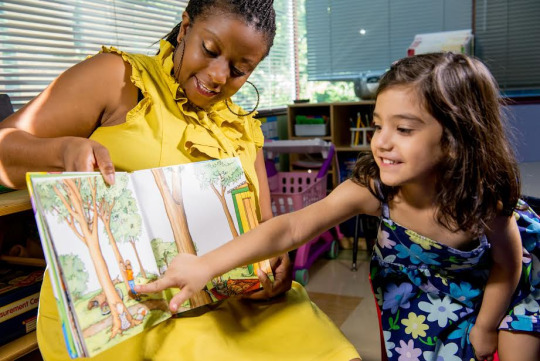 Decades of research show investments in young children pay off. Understanding demographic trends by region is critical for planning services to meet changing needs and for making effective investments in systems to support children and families. Historic service distribution patterns may need to change to meet shifting demographic conditions, and communities with the largest concentrations of young children need the infrastructure and resources to support these families. Assuring a healthy start for children should be one of the highest priorities for our county—our future literally depends on it. This is the first of four Children’s Data Network “Connecting the Dots” snapshots to be released in 2017, drawing on data from birth records to examine regional trends within L.A. County. The next three snapshots will explore specific indicators of healthy birth outcomes. The Connecting the Dots project brings together data and stories to provide new insights about the health and well-being of children and families in L.A. County. 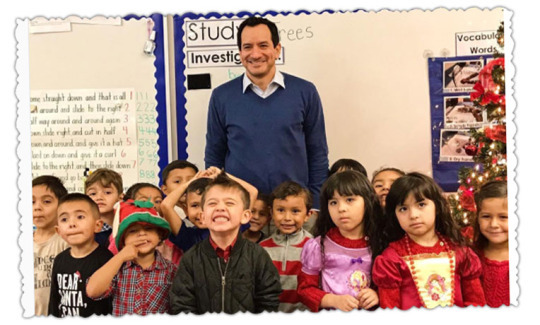 Recently, Assembly Speaker Anthony Rendon (D-Paramount) launched the Speaker’s Blue Ribbon Commission on Early Childhood Education, a policy-driven body tasked with identifying ways to create a more sustainable early learning system and update an outdated funding plan that has been unable to meet the demand for child care access in California. The commission will enable the Assembly to find ways to improve the state’s early learning system, and realize those improvements through policy and budget decisions. Our very own Dr. Jacquelyn McCroskey, John Milner Professor of Child Welfare and Co-Director of the Children’s Data Network at the University of Southern California’s Suzanne Dworak-Peck School of Social Work, has been appointed to serve on the commission. She will collaborate alongside multiple Assemblymembers and eight other community members to develop solutions to improve results for California’s youngest learners and their families. Written on February 2, 2017 . In January, Dr. Susan Savage of the Child Care Resource Center and Dr. Jacquelyn McCroskey of the Children’s Data Network were invited to present at the inaugural session of an ECE-child welfare summit designed to improve cross-system understanding and connections. Led by Senator Holly Mitchell and others, this was an effort to bring leaders of the two systems together in order to facilitate understanding and foster collaboration. To that end, CDN and CCRC prepared three documents. The first summarizes our findings of the overlap of children in child care and child protection systems in LA County (Linking Data to Inform Policy for Vulnerable Children), the second discusses how accessing data across systems can facilitate service delivery and provision of appropriate supports (Accessing Data Across Systems is Critical), and the third speaks to the importance of interagency collaboration in that process (Developing Inter-agency Collaboration).